NEW DELHI (Reuters) - Indian hotel start-up OYO, backed by Japan's SoftBank Group, expects revenue to more than treble every year for the next five years, as it expands locally and in international markets, a senior company executive said. OYO's revenue for the fiscal year ended March 2018 came in at 4.16 billion rupees ($58 million), compared with 1.2 billion rupees ($16.7 million) a year earlier, and it expects similar growth over the next five years, its Chief Financial Officer Abhishek Gupta told Reuters on Tuesday. The hotel chain operator's losses widened marginally to 3.6 billion rupees from 3.55 billion rupees a year ago, but it expects to turn profitable soon, Gupta said, without providing a timeline. A bulk of OYO's revenue comes from franchisee fees it charges hotel owners. The fee, which is a percentage of the total room rent, was more than doubled to nearly 19 percent in 2017-18, helping boost the start-up's revenue. OYO expects revenue of more than 14 billion rupees for the current financial year ending March, while its overall loss is also expected to widen, it said in a statement. 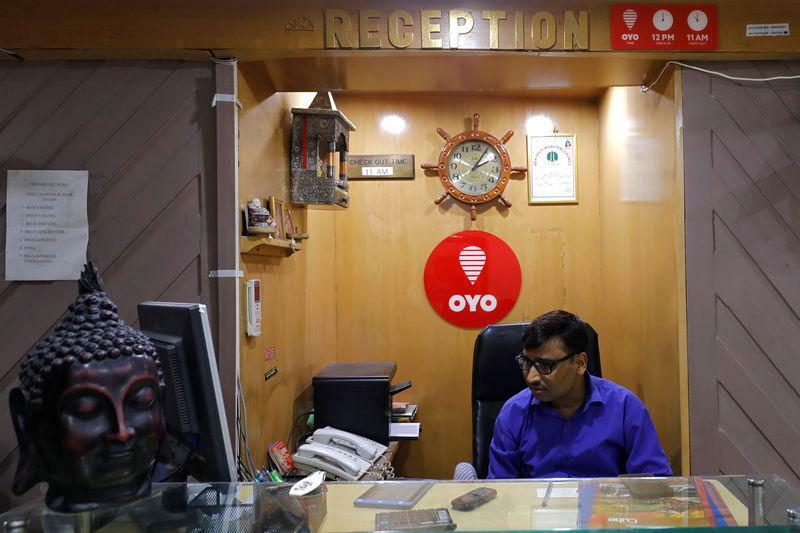 OYO, which operates more than 13,000 franchised or leased hotels with 458,000 rooms in India, China, the United Kingdom, Dubai, Indonesia and Malaysia, raised $1 billion last year from investors, including SoftBank and ride-hailing firm Grab.